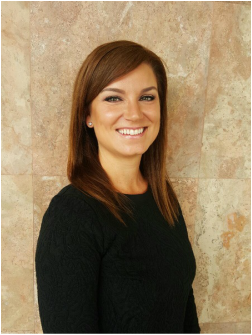 Amanda is a state licensed and nationally certified therapist with an undergraduate degree in psychology and a masters degree in professional counseling. She has a Certificate of Advanced Graduate Studies in Trauma, Abuse, and Deprivation. Amanda is passionate about treating the “whole person” by addressing mind, body and spiritual influences. Treating a person’s concerns holistically is important to her as she believe in the mind-body connection and that one effects the other. Specializing in trauma and abuse issues, she uses Trauma Focused Cognitive Behavioral approaches to confront toxic belief systems that hold you back from living the life you desire. Amanda has specific training in working with children and adolescents and incorporates Expressive Arts and Play Therapy techniques to better speak their language in a non-confrontational way. Amanda has strong beliefs that keeping caretakers involved and informed throughout the treatment process with children is critical as attachment and relationships are a key component in the healing process. When working with couples, Amanda addresses concerns through the lens of Emotionally Focused Therapy. She is skilled in approaching interpersonal issues within families and couples helping to foster the creation of secure bonds and re-organized emotional responses. ​Jackie Picchi MC, LAC graduated with her Bachelor of Arts degree in Psychology followed by her Master of Arts degree in Licensed Professional Counseling. As a Licensed Associate Counselor by the State of Arizona, Jackie works with adults, adolescents and young children on a range of mental health issues from depression, anxiety disorders, self-esteem, behavioral and discipline challenges, self-harm behaviors as well as obsessions and compulsions. Jackie enjoys a client person-centered approach that explores creative therapies including mindfulness based therapy, DBT and CBT, in order to best serve her clients. As a Certified Active Parenting Leader, Jackie has provided parenting classes to empower parents with effective, evidence based tools to enhance relationships with their children. She truly enjoys supporting a healthy, balanced family system. With a deep interest in the mind-body connection, Jackie provides a safe, nonjudgmental environment for her clients to help them explore various issues. Her goal is to facilitate each client to understand how to be more present in their lives, better balanced, and achieve their personal goals. Erica Christmas, MC, LAC is a Licensed Associate Counselor, experienced in working with children, adolescents, adults, and families. She received a Bachelor’s Degree in Psychology from The University of Arizona and a Master of Counseling degree from Arizona State University. Erica adopts a trauma-informed approach to treating a range of presenting problems, including complex trauma, domestic violence, behavioral issues, difficulty in peer relationships, suicidal ideation, self-harm, depression, and anxiety. She employs a variety of therapeutic methods such as Cognitive Behavioral Therapy (CBT), Eye Movement Desensitization and Reprocessing (EMDR), Motivational Interviewing, and mindfulness. Erica is passionate about working with diverse clientele, including members of the LGBTQ community, children in foster care, and clients of varying cultural backgrounds. She seeks to tailor therapeutic treatment to the needs of each individual client. Her clients can expect her to be direct and honest while challenging them to grow into the best possible version of themselves. ​Are you looking for help with relieving stress, anxiety, depression, or PTSD? Have you grown tired of feeling like you don't have control over your own life? Feeling like you aren't yourself most days? Judy Marcum, MS, LAC is a licensed therapist who specializes in working with PTSD, anger, stress, anxiety, depression, relationship issues, sexual assault, childhood abuse, grief/loss, borderline personality disorder, mood disorders, and those involved with DCS. She has additional training and expertise in working with those who suffered from sexual abuse, and she has experience working with children, adolescents, adults, and couples. Some of the modalities she uses in treatment include Eye Movement Desensitization and Reprocessing (EMDR), Dialectical Behavior Therapy (DBT), Cognitive Behavior Therapy (CBT), Solution Focused Brief Therapy (SFBT), motivational interviewing and mindfulness. Through a collaborative approach, Judy joins her clients on a journey of exploration, growth, and healing. She can assist you in reconnecting with yourself, feeling grounded, and helping you manage your life more smoothly.